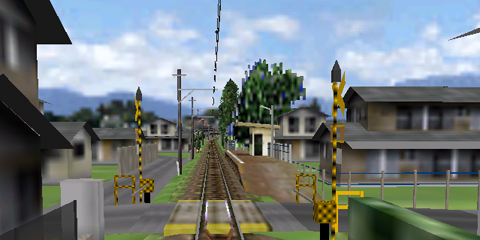 Tanigumi line (Nagoya Railroad Co, Ltd. a.k.a. Meitetsu) is a streetcar line from Kurono to Tanigumi, for the class 750 streetcars (these streetcars were manufactured in 1928). It is a gauge1067 mm single track line and is electrified (600 V DC). The line was closed at September 30 the year of 2001. 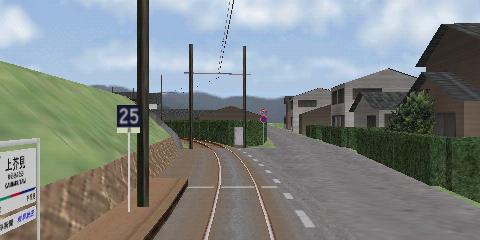 A very well made route with many nice graphic objects and landscape details! Notice for example the sunlight light in the forest openings. Gaku has with this route confirmed his position as one of the best route makers for BVE. Download the 750 class tram from the vehicle catalogue (follow the vehicle link above). 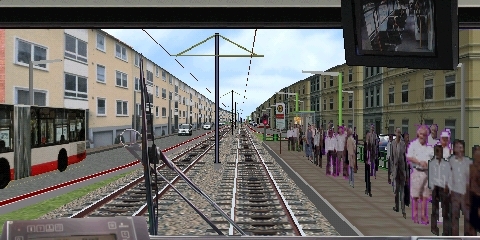 Linie 10 & Linie 11 are two fictitious streetcar lines in German environment, using many graphic details of high quality. Also soft curves and realistic switches. Linie 10 goes from Lindhofenstaße to the streetcar depot beyond Hostpitalstraße. There are 6 different alternatives for this line with different types of streetcars and different weather. Linie 11 goes from Lindhofenstraße to Lesum. At that line there are track works with temporary speed restrictions, single track use and workers at the track. There are 4 alternatives for this route, including one driving a works car to move snow along the line. The creator's website has long ago disappeared from the Internet. The route available at this website is the original version for BVE 4, with transparency issues in OpenBVE corrected. 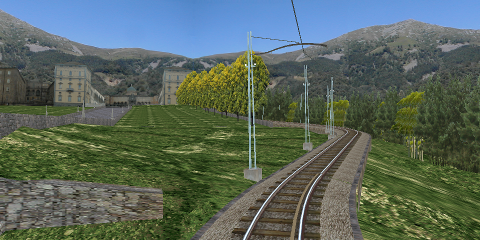 Another version of this route, based on the BVE 2 version of the route, is available at the website BVE Cornwall. It has fewer alternatives of streetcars to use.